Environmental awareness is a responsibility that we all share. 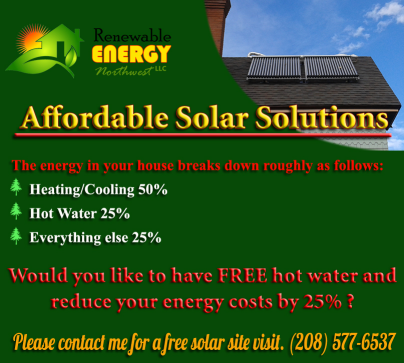 Renewable Energy NW LLC is committed to promoting sustainability and making it accessible to everyone. 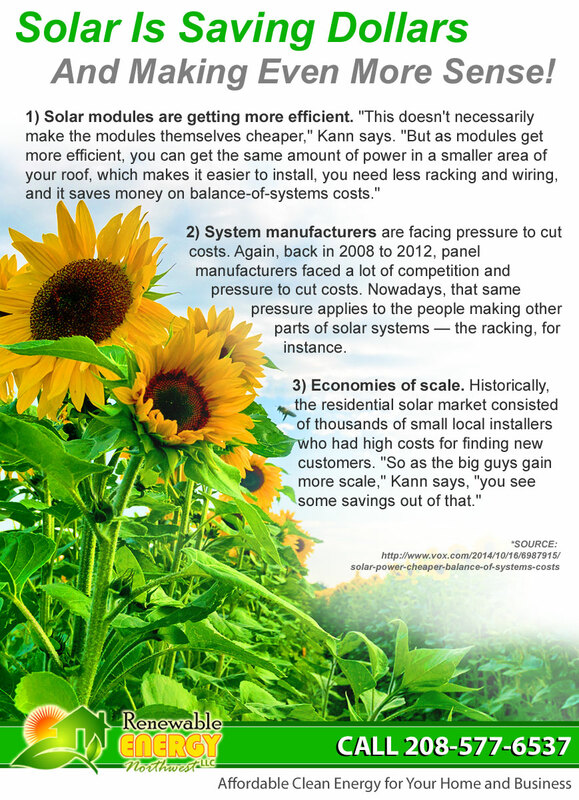 By installing one of our solar powered hot water systems you are not only significantly reducing your environmental footprint but also saving money on your own energy costs. All by harnessing the FREE energy from the sun! From small residential installations to larger commercial installs Renewable Energy Northwest can create a custom solar thermal solution for you. Every system we install is unique and individually designed specifically for your energy needs; we never over-install. We’ve been installing solar thermal in Idaho, Oregon, and Washington as well as throughout the Southeastern United States for almost a decade now with over 1,000 solar thermal panels installed just in the Northwest! Time and again we’re greeted with happy customers who appreciate the value of saving on their energy costs, and it’s not just a quick thrill – our solar thermal systems provide savings year after year. When combined with other green technologies like solar PV, and solar attic cooling we can create a true whole home holistic solar solution that can bring many homes closer to net zero and energy independence. Let us help you make a positive step towards sustainable living and lower energy bills today!